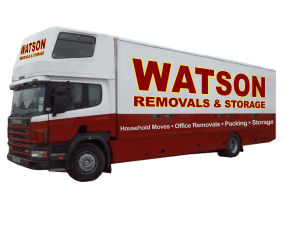 We’re Watson Removals, a friendly removals company in Brighton here to help you with all your house and office removal needs. Have you just signed for your dream home in Brighton & Hove and are excited to make the big move? Or perhaps your business or organisation is growing at a quick rate and you need to move into bigger premises? 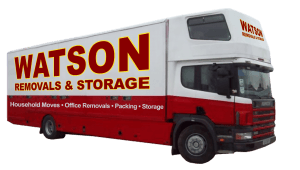 Whatever your circumstances, here at Watson Removals we’ve got a solution for you. We’re proud to be a premier moving company in Brighton, one of the jewels in the south coast’s crown. From the vibrant domes of the exotic Royal Pavilion to the natural beauty on offer at the seafront, Castle Hill and out towards the South Downs, there’s so much to do in this buzzing area. If you’re moving from A to B in our gorgeous area, we can help. We adapt our services to your needs, so whether you require a small team of one or two people or a full fleet of vehicles, we have a solution for you. Or perhaps you’re looking for top-notch packing services. We know how busy you are, so why not let us come to your home or office and do the heavy lifting for you? As a fully insured removals company, you can hire us with total peace of mind. If you’d prefer to pack your items yourself, we can provide you with all the secure, substantial boxes you need. Based in Brighton, we’re a family-run company proud to serve the people of Brighton & Hove. As a small, close-knit team with a strong work ethic and a commitment to our customers, we’re small enough to pay substantial attention to detail and make sure the job is done right. But we’re also big enough to have all the resources we need to do the job well. With our top-quality, well-maintained fleet of vans and large supplies of top-quality storage and packing solutions, we’ve got all the equipment for an efficient, cost-effective removals job. We really believe we won’t be beaten on quality, service or value. Get in touch with us today on 01273 257230 or info@watsonremovalsbrighton.co.uk and speak to one of the team to find out more. We look forward to helping you with your home or office move in Brighton & Hove!